The Fakeye family of Nigeria Africa is very well known as an extremely talented family of master craftsmen. 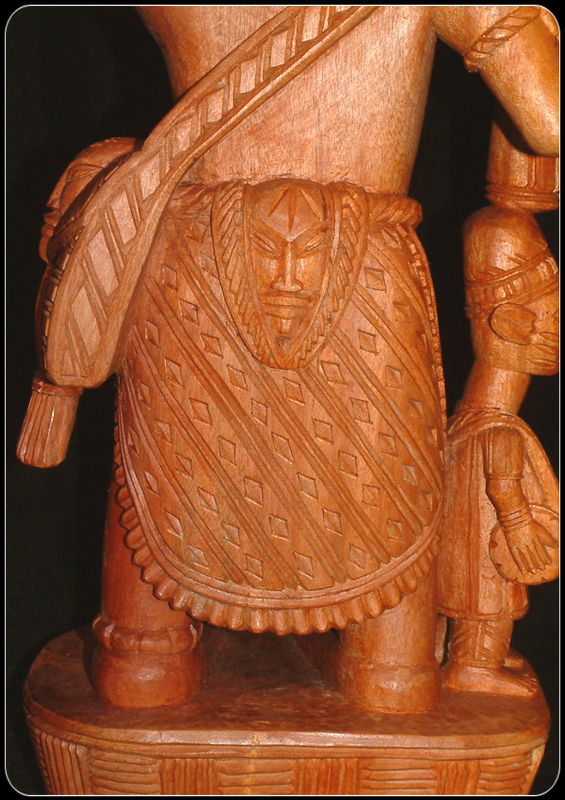 The intricate style of carving that they are known for has been passed down from father to son for many generations. 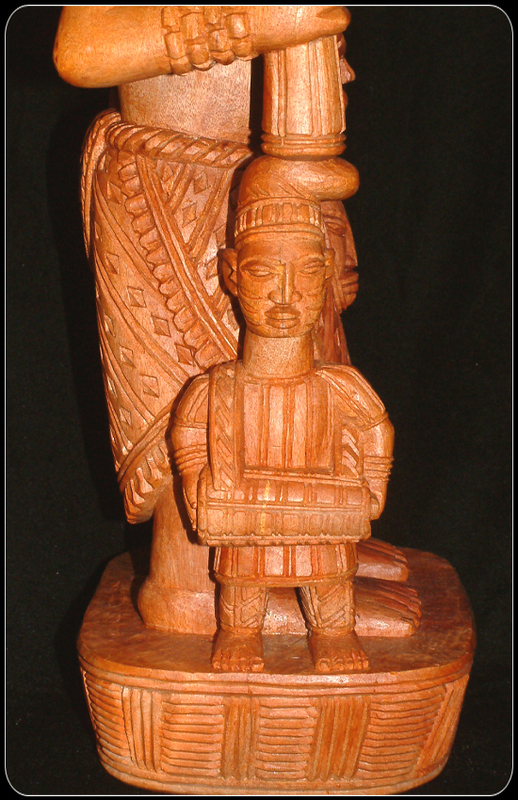 The first master carver in the Fakeye family was Olawoyin Fakeye. He was given the honorific title ‘Fakeye’ by the King of Ila. 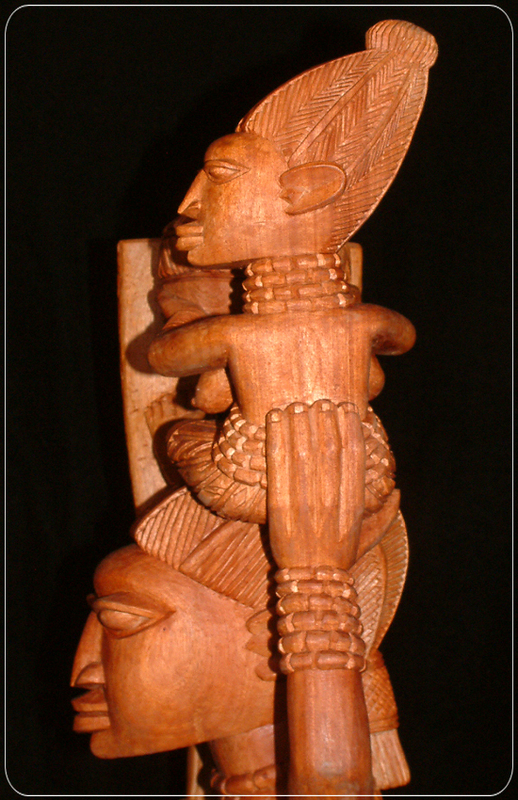 Along with the title, the descendents of Olawoyin Fakeye also inherited the skill and creativity that secured the family a reputation as expert carvers. 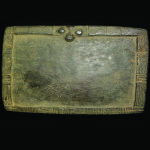 Their immediately recognizable style of carvings is increasingly being appreciated by a growing number of art connoisseurs. The Fakeye carvings are incredibly intricate and the attention to detail that their carvings have, has to be seen to be appreciated, as photographs really does them no justice. 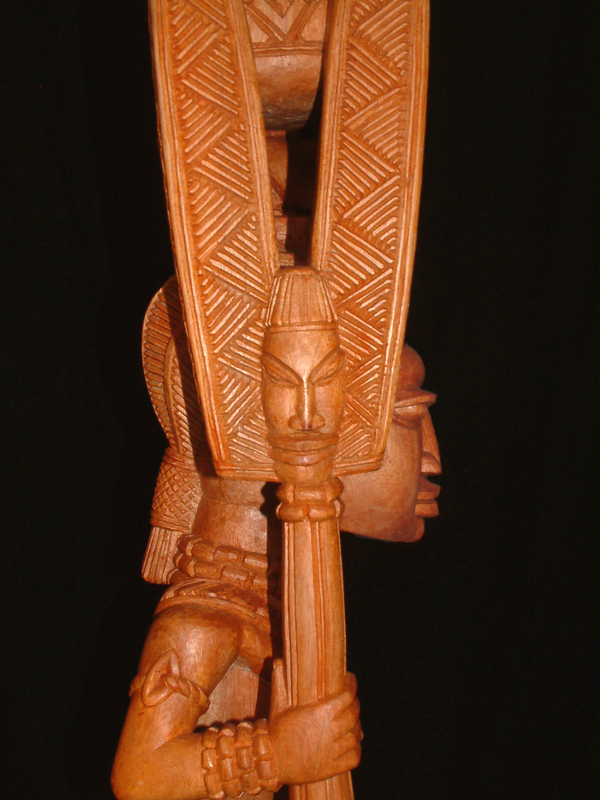 This particular piece was carved by Akin Fakeye who in turn is the brother of Lamide Fakeye. 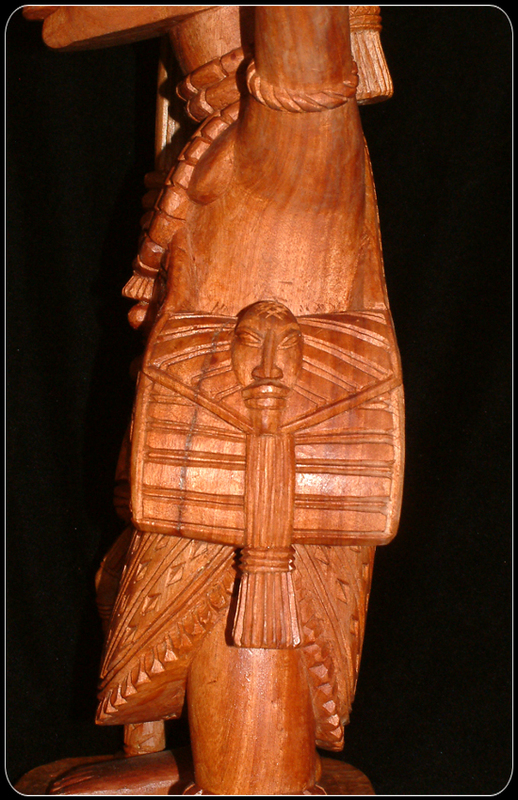 This Fakeye carving depicts Shango. Shango was/is one of the Yoruba deities (Orisha) and in some part of Trinidad, Grenada and Brazil is still viewed as god of thunder although there he is called Xangô. He is associated with an axe which he was said to use to summon thunder. Shango was the fourth king of Yoruba. There are many different accounts of his life and death. In one account he mythological came forth from goddess Yemaja. He had three wives – one was Oshun who was a river goddess, the second Oba who was also a river goddess. 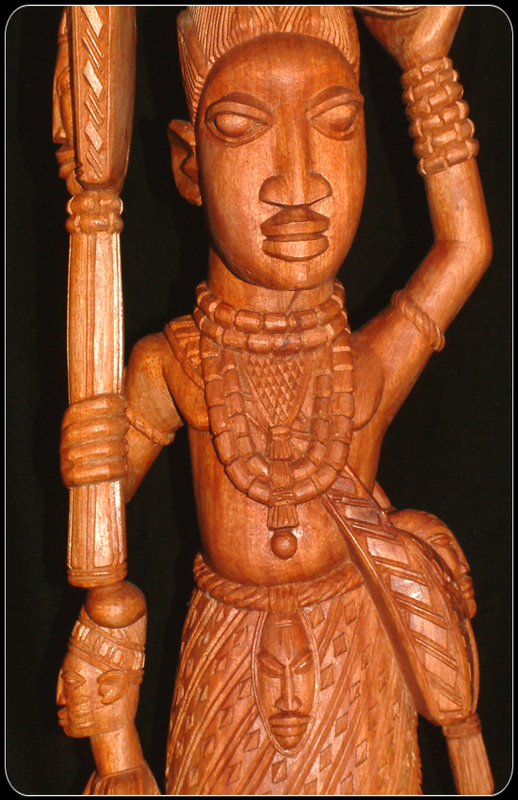 Shango’s third wife Oya was said to be his favourite wife and the one who stole the secret of his power. 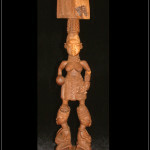 This Fakeye carving of Shango has him supporting his wife Oya above his head. 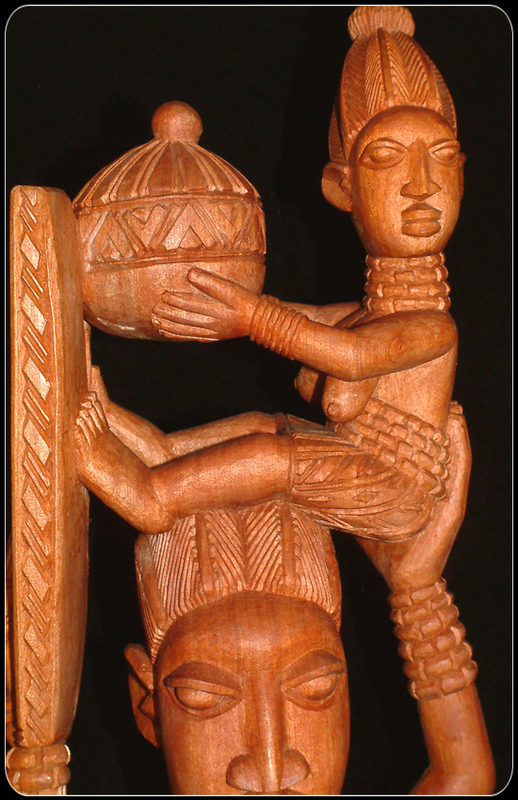 In her hand she holds a covered calabash which would be used to hold items which would be offered to Shango. In his hand Shango holds his axe. Below the axe sits a musician playing a drum. 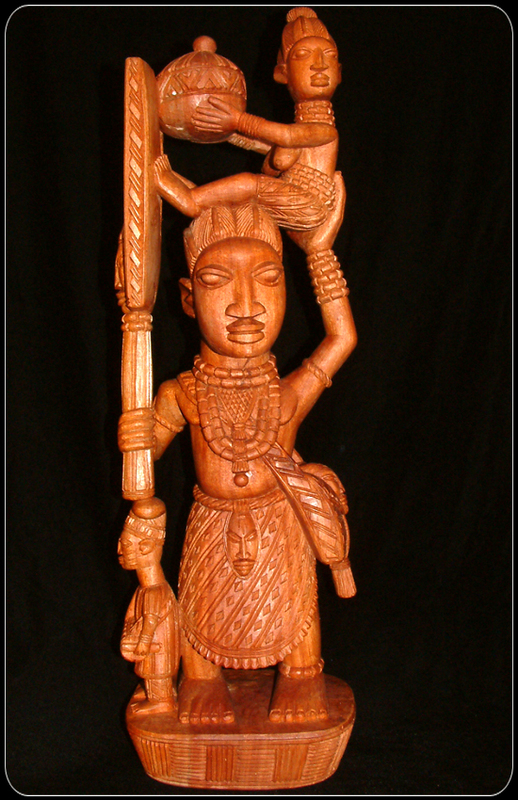 This is a superbly intricately carved piece of art, which attests to the skill and craftsmanship of Akin Fakeye. The design of the apron (skirt) which has been painstakingly carved is simply amazing as it’s the satchel which sits at his waist. The axe which he carries, the sash around his waist and his satchel even has the face of a devotees craved into them. 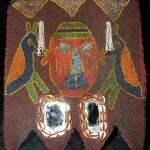 Bead and amulets circle his neck and wrists and that of Oya as well. Even the platform on which he stands has geometric designs carved into it. 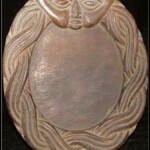 This carving is truly a testament of the skill of Akin Fakeye. Strong heartiness is a result of regular exercise and lifestyle. How can remedies hels up? For example Diprolene cream is a topical corticosteroid. This medicine reduce swelling associated with varied skin conditions. Kamagra is an ideal medicament for helping men to sustain an hard-on. What about cialis 5mg cost per pill and how much does cialis cost? Our article tell more about the evaluation of erectile dysfunction and cialis price. Other point we have to is undefined. Perhaps you already know about it. Why it happen? What kinds of professionals treat sexual health problems in men? What can patients ask a doctor before taking Kamagra? So, ordering generics from Internet can save when, but keep above mentioned safety tips in mind.